The art of Joan Miró (1893 –1983) is informed by an almost literal directness, which invariably foregrounds the materiality of his painting. In his personal accounts, he declared the wall itself to be the starting point of his painting. At first, it was the wall of the farm in Montroig, its imperfection supplying the inspiration for images that captured the beauty of the material with meticulous attention to detail and great poetic imagination. For him a wall was not simply an object to be depicted: it also dictated the physical and tactile qualities of the painterly. The move from simple depiction to according the canvas surface a status equal to that of the wall, as well as the careful selection and preparation of supports that we encounter in every phase of his work, can be traced back to this objective. 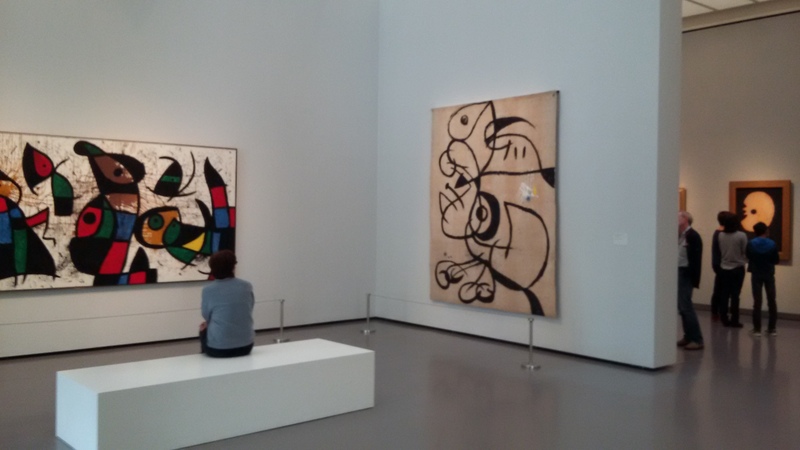 Poured paint and deliberately placed splashes, whitewashed canvases as well as coarse burlap and unconventional materials such as masonite, sandpaper or tar paper are placed in the service of his imagination and play their part in creating Miró’s visual universe. 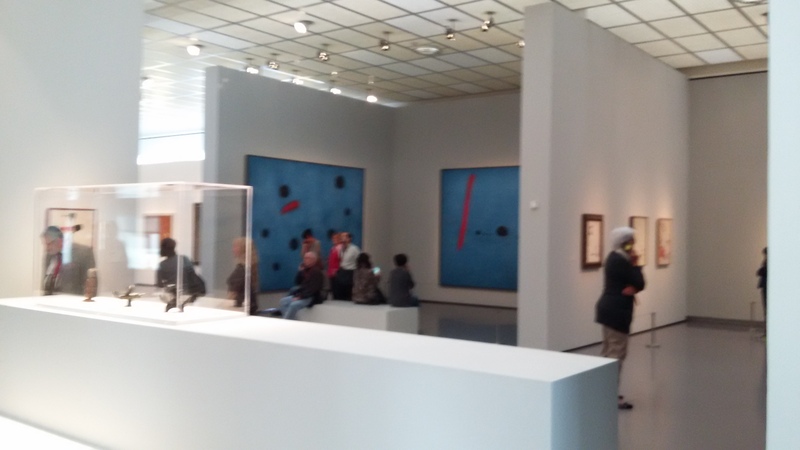 At an early stage, Miró became interested in an extremely elongated yet very narrow format that, even in small dimensions, prefigures the monumental work of the post-war period. Site-specific works, large scale triptychs and murals will exemplify this development; and this historical background also permits a reappraisal of the important ceramic frieze ‘Oiseaux qui s’envolent’ (1971/72) in the collection of the Kunsthaus. Posted in latest news, Uncategorized and tagged art, ausstellung, exhibit, joan, Kunsthaus, mallorca, miro, stars, walls., zurich. Bookmark the permalink. John Waters: How Much Can You Take?